← It’s no joke. The Devil hates Latin. ASK FATHER: Poured Precious Blood down sacrarium. Go to a Missionary of Mercy? I know an EMHC who once was instructed after Mass to pour, and did pour, the remaining (there was a lot) Precious Blood in the sacrarium. This EMHC will be attending a pilgrimage this weekend at which a missionary of mercy (MoM) will be hearing confessions. At the time, this EMHC was distraught but did not know what she did was wrong. [There’s a disconnect here. Why be distraught if she didn’t think it was wrong?] I understand this was confessed later, but should I encourage this person to visit the MoM? You cannot pour the Precious Blood down a drain or sacrarium. You cannot “throw away” a Host. Someone who “throws away” the Eucharist, either by, for example, simply tossing a consecrated Host in the garbage, or putting it down the sacrarium, or pouring the Precious Blood down a sink or sacrarium, knowing that it is wrong to do, runs the risk of incurring a latae sententiae excommunication, the lifting of which is reserved to the Holy See alone. The sin is forgiven in confession (since there are no more reserved sins). The censure of excommunication, however, is under normal circumstances reserved to the Holy See. In the Year of Mercy, certain priest confessors (“Missionaries of Mercy”) have been given the faculty to lift this censure without recourse to the Holy See. can. 1367: Qui species consecratas abicit aut in sacrilegum finem abducit vel retinet in excommunicationem latae sententiae Sedi Apostolicae reservatam incurrit; clericus praeterea alia poena, non exclusa dimissione e statu clericali, puniri potest … A person who throws away the consecrated species or takes or retains them for a sacrilegious purpose incurs a latae sententiae excommunication reserved to the Apostolic See; moreover, a cleric can be punished with another penalty, not excluding dismissal from the clerical state.. The word abicit, abicere, means here “throw away”, and this was clarified by the Pontifical Council for the Interpretation of Legislative Texts, at their plenary session on 4 June 1999, as not … not… being restricted to “throw away” in a spirit of contempt, or intent to do dishonor. It really does mean “throw away”, which is what happens when you put a consecrated Host or the Precious Blood down a sacrarium without first making sure that the substance of the same is first broken down (by dissolving). Precious Blood, of course, should be consumed. That said, in the case of any objectively sinful act which incurs an excommunication (e.g. throwing away the Eucharist), there are always the circumstances to be considered (e.g., the person’s will and knowledge, external compulsion, fear, etc.). Redemptionis Sacramentum distinguished different levels of liturgical abuses. The worst are in the category graviora delicata (graver crimes). Among the graviora delicta is throwing away the Eucharist (cf. RS 172). This grave crime is reserved to the Congregation for the Doctrine of the Faith. From what you wrote I would say that, probably, No, she did not incur the penalty. She was following the direction of another person whom she deemed had authority. You say she was “distraught”. To incur such a penalty, one must commit a mortal sin in the act. She did not have the obligation to know the truth about throwing away the Sacrament. The sacristan and the priests do! She was acting, probably, in innocent ignorance. The sacristan and priests, if they don’t know the law and theology of this matter, are in a state of culpable ignorance. They are obliged to know this stuff. I suspect that someone has incurred a censure, but not her. Also, if there is risk of profanation of the Precious Blood – and it sounds as if there is at that parish – then Communion under both species should be stopped. But, for a moment let’s assume that she did incur the censure, which is automatic excommunication. Another result would be, if committed by a male, that man would be irregular to receive Holy Orders licitly. She could go to Rome, to the offices of the Sacred Apostolic Penitentiary, which has competence in this and the authority to lift the censure. Otherwise, she could explain the situation to a savvy priest confessor who knows how to write to the Sacred Apostolic Penitentiary. He would write a letter to describe the situation – using total anonymity in her regard – and then receive back from them the faculty to lift the censure the next time she came back to him as a confessor. If a cleric did this horrid thing, and you incurred the censure of excommunication, he would be suspended instantly by the very fact of doing it if, in doing it, he committed the mortal sin in full knowledge and will. He could function as a cleric, for example say Mass and hear confessions if a priest, only if he had started the process of getting that censure lifted. BUT… if other people saw you do it, saw you doing it all the time, and they knew she knew it was wrong because she was told or she had read it, etc., then it would be possible that someone could denounce her to the CDF. A canonical process could started in her regard, under the new norms for graviora delicta. Bottom line…. DO NOT pour the Precious Blood down a sacrarium or drain or anywhere else. It ought to be consumed. If she has contact with one of these Missionaries of Mercy, she could bring this up in confession, explaining the necessary circumstances (i.e., being told to do it, being distraught, etc.). The confessor would them be able to make a judgment and, if necessary, lift any censure she might have incurred. This entry was posted in "How To..." - Practical Notes, ASK FATHER Question Box, Liturgy Science Theatre 3000 and tagged abicit, can. 1367, Missionary of Mercy. Bookmark the permalink. 18 Responses to ASK FATHER: Poured Precious Blood down sacrarium. Go to a Missionary of Mercy? Right. And, poenae latae sententiae delendae sunt. I was taught that if a substantial amount of water or unconsecrated wine was poured into the Precious Blood then it was no longer the sacred species and could, therefore, be poured down the sacrarium. Is that correct? If I may respectfully add to our rev’d host’s answer under the dear Longinus’s comment, if there is no priest or deacon present (for whatever reason), or if too much of the Precious Blood is there for the priests and deacons to consume safely (before marauders are entering the Church, or before getting drunk from the accidental appearance of it, etc. ), then of course, the proper way is to let laymen (and laywomen) to consume It. Preferably with a “the blood of Christ – Amen” or “may the blood of Christ lead thy soul through to eternal life, amen” beforehands. I was serving Mass a couple of years ago when, after the Consecration, the priest accidentally tipped over the chalice, spilling some of the Precious Blood onto the altar cloth. He thought it was a case of being over scrupulous to do anything and just left the altar cloth as it was. On the advice of a second priest, we greatly drenched the altar cloth with water and then sent the altar cloth out to be laundered in the normal fashion. Seriously, when I was in graduate school, the ultra-liberal Newman Center that I attended (I hang my beak – I was a zealous Catholic, but not a particularly well-informed one – and was never a liberal at any time – I thought this was the university Catholic Church) until I started really learning the Faith, used to use thick chewy bread/flat cakes for Communion. Unfortunately, they, also, gave children sugar cookies of almost the exact same color and the kids used to bring them into the, “Gathering Space,” (where Mass was celebrated) and consume them during Mass. The Gathering Space was all-carpeted. They had a 10:00 pm Mass (for late-night students). On Monday, I would find little pieces of foreign matter of exactly the color of either the, “Host,” or the cookies. There was no way to tell what they were. Not wishing to desecrate the Sacred Species (oh, the irony), I used to meticulously pick up every particle on the carpet near the altar and take them to the sacristy, where I asked the sacristan to put them down the sacrarium (which I thought, at the time, was the proper thing to do – obviously, I got the wrong idea, somewhere). I was not the only person the take a large particle of the matter back to the back for proper disposal. I spoke to a priest, years later, about this and he said that this was more on the priest/sacristan than I. Obviously, I acted with no malice and with good, but ignorant desire. The problem is that I can’t even be sure that what I wanted disposed was even consecrated, but some portion might have been cookies. I don’t know if the thick-bread Host was even valid matter. Worse, yet, the staff just simply vacuumed the carpet on Monday morning without any regard for what they were vacuuming up. Needless to say, once I saw this happening and began to earnestly study the Faith, I fled the place. They received many criticisms for their liturgical abuses and I think the bishop cracked down on them after I left. I never went back to find out. So, don’t say I haven’t seen it all. Stories I could tell…and, yet, this is the place that most of the on- or near-campus students attend and learn about Catholicism!! Sadly, right up the street, five minutes walking distance, is an older beautiful Catholic Church which has had many conservative pastors and 3 priests in resident in the 1950’s, but attracts only a handful of students, today (walked into the middle of the Easter vigil and thought it was over, rather than being at the Rite of Baptism, so few people were there). In any case, since I acted in invincible ignorance, I assume I was not excommunicated and, indeed, I know that while there is grave objective matter involved, am I correct in assuming my ignorance or false, but sincerely thought to be true belief, probably mitigated subjective imputation of guilt. We have 4 Missionaries of Mercy at my current church. Do I need to see them? I go to confession once a week. One can be emotionally upset about something that is not sinful or against the law of the Church. For example, someone forced to shoot his own dog in order to protect others is morally in the right. If I were this person, I would think it would be good to go tell what happened, and either get it forgiven or told that one is innocent. Stop wondering and just go, and you will feel better. Either way, it would probably be good for all of us to pray one of the reparation prayers to Jesus, for all these sorts of bad stuff that He gets exposed to, because He is making Himself present for all our sakes. Would it be licit to shake the corporal over the sacrarium just in case there are particles of the Sacred Species on it? Our chapel has a tendency to reuse the corporal. I’ve always feared that there might be a particle of the Sacred Species left on it as it is put into storage for the next Mass. Unfortunately, neither the priests nor the EMHCs have taught us altar boys what to do. Depending on the diocese, EMHCs who distribute the Precious Blood can consume whatever is left in their chalice. At my Dad’s large suburban parish in Texas, last time I was there they were using home baked bread which they kept the Eucharist after Mass in multiple ciboria in the tabernacle. But this kind of bread spoils. I found out in a document of instruction for EMHCs on their website that their practice was to take the rest of the consecrated Eucharist and put it on the ground out in their landscaping. Same thing with the crumbs after Sunday Mass that were left on the altar cloth, shaken onto the landscaping. I wrote to their bishop about that including a printout of that document but never got a reply. That home baked bread is totally, totally unsuitable for use at a large parish and should be avoided anywhere for reasons obvious to anyone who believes in reverence toward the Real Presence of Jesus in the Eucharist. Growing up in the 90s, it used to be the norm that communion was only offered to the congregation under one species aside from Easter Vigil, Midnight Mass at Christmas, one’s own First Communion, and at Nuptial Masses (and even then it was offered only to the bride and groom, bridal party, and immediate family members). Sometime during my hiatus from 1999 to 2011, the norm changed, which I think has caused a lot erroneous understanding about the Eucharist and that Jesus is contained fully Body, Blood, Soul, and Divinity under either species and that one does not “receive more Jesus” by receiving under both species. Though, given what I witnessed growing up and continue to witness at many Masses, I often wonder if people even know they’re receiving our Lord and not merely some bland wafer. I wish this practice would cease. I know of one parish that requires 19 EMHC to distribute communion under both species. 19 extraordinary ministers. Seems a tad excessive for something that’s supposed to be extraordinary, but I digress. So father, you meant that a simple priest can absolve these kind of sins in confession, and just leave the excommunication to CDF? 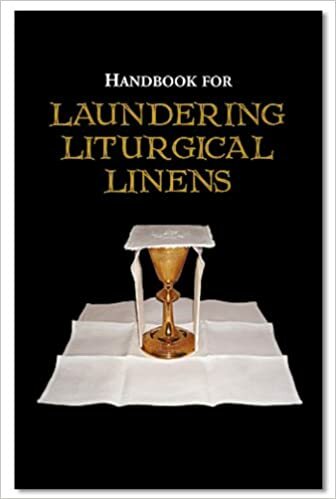 There is an excellent book on this very topic: “The Horror of the Profanation of the Most Holy Eucharist: Rebel Priests Who Have the Blood of Christ on Their Hands” (Xulon Press,2015) by Fr. Mark Kreis, a Hermit of St. Paul. Father is from Poland, and his book reflects his experiences in two dioceses in the midwest, one of them very prominent and influential. He is convinced that the practice of pouring the Precious Blood down the sacrarium is very widespread in the United States. Ordinarily when one reads a book that might be characterized as “muck-raking,” one is stirred to useless anger, but I have to say that the way Fr. Kreis develops this topic sharply increased my reverence for and devotion to the Eucharist. Heartily recommended. Probably how our sacrarium got clogged up and no longer works. Why isn’t intinction more widely used? Problems like this would be minimized, along with the abuse of every other one being an EMHC.